Pinks do have more fun! Be sparkly and bright with this radical burst of fuchsia. Packed with explosive bits of shimmer, this knockout shadow will glam-up your eyes. 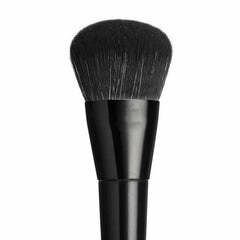 This product is made with high-quality, non-toxic ingredients for a healthy and eco-friendly approach to makeup. The jar is also made using recyclable materials, allowing you to be kind to the environment while lookin’ like a babe.